The​ Ottawa Senators are coming​ off​ one​ of​ the​ worst​ stretches in​ recent pro sports​ memory, including an​ offseason​ that brought one​​ negative story after another. At this point, you’d like to think that they’ve hit rock bottom. But that might not be true, because there’s a nightmare scenario looming. It goes something like this: The Senators have the kind of season everyone seems to think they will, finishing at or near the bottom of the league. That earns them one of the top picks in the Jack Hughes draft. But they’ve already traded that pick to Colorado in last year’s Matt Duchene deal, so they get to cap off their season by watching the Avalanche draft a potential franchise player instead. It would be an undeniably awful way to end a miserable season, and it makes a rebuild a much tougher sell to an exhausted fan base. After all, how do you squeeze any optimism out of a losing season if you don’t even have your own first-round pick to look forward to? The Senators will be hoping not to expand that club to nine. But if they do, a look back at those previous cases might give us a sense of what to expect. But first: Wait, why are we going back 35 years? It’s admittedly a bit of a weird place for a cutoff. But when it comes to teams trading away top five picks, there’s actually an interesting reason to draw the line right around 1983. In the 35 years since, the scenario plays out just those eight times (one of which probably shouldn’t even count, as we’ll see). But from 1980 through 1983, it happened ten times in just four years. That’s kind of crazy, and the list includes the picks used on future Hall of Famers like Denis Savard, Larry Murphy and Pat LaFontaine, not to mention three out of four first overall picks. What happened? That’s probably a topic for a bigger piece, but we can call it the Sam Pollock influence. Pollock, the legendary Canadiens GM who built the last great Habs dynasty in the 70s, was constantly trading veterans for future draft picks that he turned into stars like Guy Lafleur and Larry Robinson. It was his signature move, and it worked so well that you wondered why other GMs weren’t catching on. They eventually did, and you can pretty much divide the history of trading for future draft picks into three distinct eras: The Pollock era, spanning the late 60s to late 70s, in which he was the undisputed king of the move; 1980 through 1983, in which a few other GMs caught on and started pulling off that kind of deal; and 1984 through to today, in which everyone smartened up and realized that trading a future first-round pick is a dangerous move and the deals became an endangered species. Endangered, but not extinct, as Senator fans are well aware. So today, let’s draw that line at 1983 and look back at the eight times since then that a team has traded away what turned out to be a top-five pick in advance. It’s a club that Ottawa’s front office is really hoping it isn’t about to join, although as we’ll see, sometimes the results are more disastrous than others. The circumstances: We have to go way back to December of 1981 for the actual trade here. 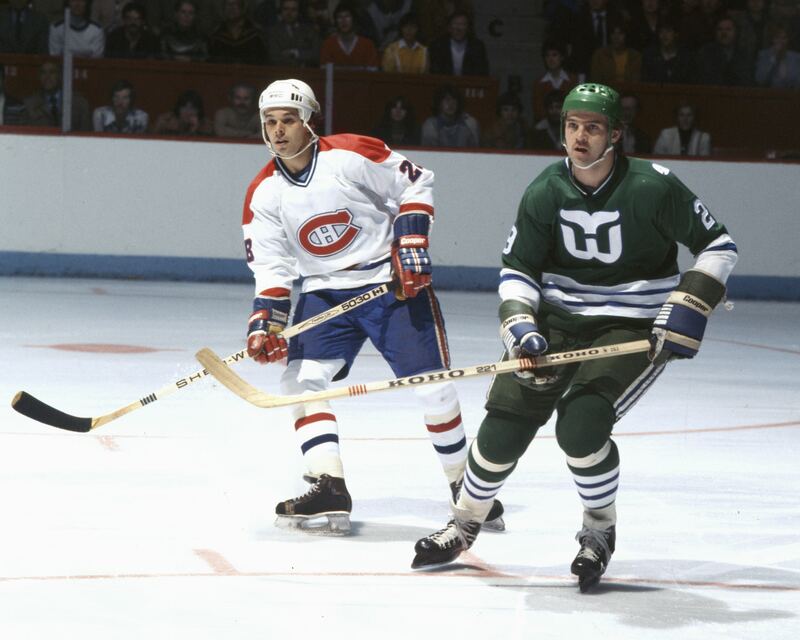 Back then, the Habs and Whalers had only been division rivals for a few months. Hartford had failed to win a playoff game in two seasons since arriving in the WHA merger, and on December 20, they lost 8-2 to the Sabres to fall to 7-16-9 on the year, dead last in the division. New Whalers’ GM Larry Pleau figured they could use some help. The trade: The Whalers and Canadiens hooked up on a Pollock-style trade that saw Pierre Larouche head to Hartford. Larouche had just turned 26, was a year removed from a 91-point season, and had 21 points through 22 games that season, so he was a decent pickup. He did fine in Hartford for a few years before leaving as a free agent. But the rest of the deal was unusual, with the teams swapping a total of five picks – all of them coming in 1984 and 1985. The pick: The two teams exchanged first-rounders in 1984, three years down the line. 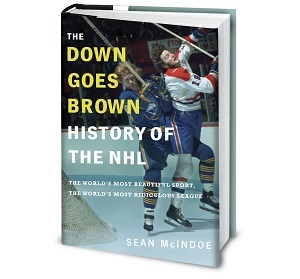 By then, the Canadiens weren’t very good, finishing with just 75 points. But the Whalers were even worse, and their pick ended up being fifth overall. The Canadiens used it to take defenceman Petr Svoboda. The aftermath: Svoboda was a decent player. But the Whalers used Montreal’s pick to take Sylvain Cote, who was basically the same guy, so we can call this one even. If you’re a Senators fan looking for assurance that these deals can work out OK, this one helps. That said, the deal could have been a history-altering debacle for Hartford. The top prospect in that 1984 draft was a French kid who turned out to be pretty good, and it’s safe to assume Montreal had him in mind when they made the deal way back in 1981. If the Whalers had been even worse than they were, this could have been the trade that put Mario Lemieux in Montreal. The circumstances: By the 1986 offseason, the Canucks hadn’t won a playoff round since their surprise trip to the 1982 final, and were getting tired of being also-rans to Wayne Gretzky and the Oilers. So they decided to trade their 1987 first to the Bruins for somebody who could make an impact right away. The trade: In June 1986, the Canucks landed two-time 100-point center Barry Pederson from Boston in exchange for their 1987 first rounder, plus a young winger who’d been kind of a disappointment through three seasons. The pick: Thanks in parts to Pederson, the Canucks actually improved in 1986-87. But so did a few of the league’s other bottom-feeders, and Vancouver’s pick ended up being third overall. The Bruins used it to take defenseman Glen Wesley. The aftermath: Wesley was a good player, and played in the 1989 all-star game. He’d spend seven years in Boston, many of them alongside Ray Bourque, and was eventually traded to Hartford for a stunning haul of three first-round picks, all of which ended up in the top ten. Still, it could have been worse. The Canucks finished the season with three straight wins; take a few of those away, and the Bruins could have been using a top-two pick on Pierre Turgeon or Brendan Shanahan. So even though Pederson didn’t stick around very long in Vancouver, trading away the pick to get him wasn’t a total disaster. Well, not on its own. As every Canuck and Bruin fan well knows, that disappointing young winger was a kid named Cam Neely. He exploded in Boston, quickly turning the Wesley pick into an afterthought and making this one of the worst trades of all time.